Double-sided fireplaces offer twice the form and functionality of a regular fireplace by providing two focal walls and heat on both sides — sometimes in two entirely different rooms. 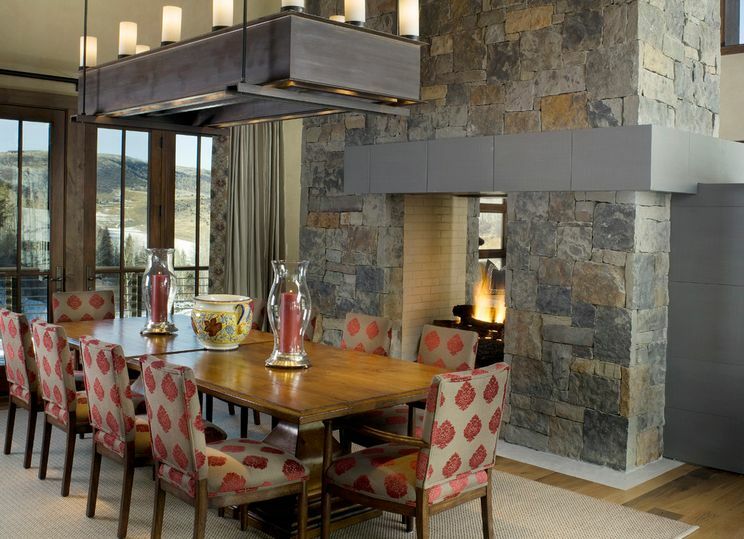 This article from houzz.com highlights interior design featuring two-sided fireplaces. 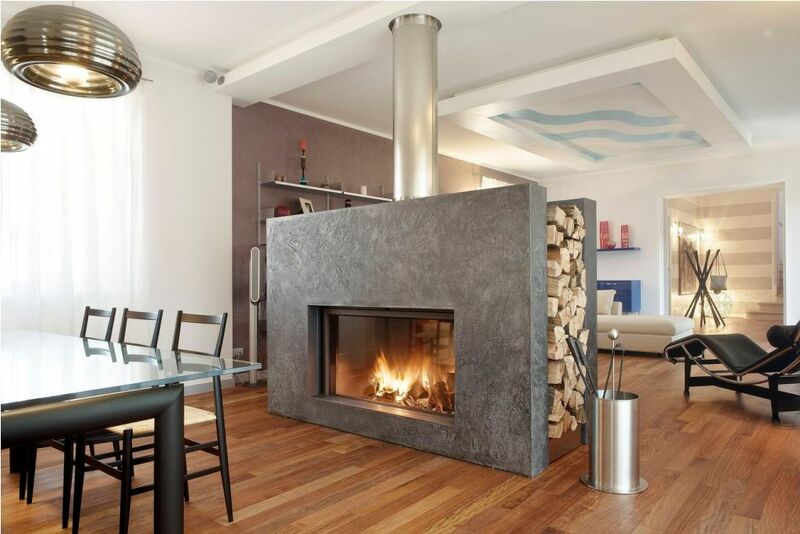 Whether it's a custom floor-to-ceiling design or a prefabricated model, a double-sided fireplace could be the element of warmth your space is missing. Since these models require only one flue and chimney, they can work in just about any home. A fireplace can add comfort and beauty to almost any room...click on the "article" above for a slideshow of great designs. Industrial - Utilitarian design that exposes the mechanics of the fireplace. Transitional - Stone or tile with an added element to give it a comtemporary flair. Contemporary - Glass and stainless steel are a great combination that provides that modern look while still creating a welcoming glow. Throw a few pillow on the floor and enjoy the warmth. Back-to-Back - For a dramatic statement, include two fireplaces back-to-back. Incorporate a wood storage feature into the design for utility and decor. Tall Opening - In room with vaulted or high ceiling a tall opening can make a real impact and create a unique visual perspective. Adding a design element on the interior of the fireplace can add that dramatic feature. Elongated - Dependent on your space, an elongated fireplace can stretch from one side of the room to the other, providing heat and warmth to two rooms. 3 or 4 Sided - These designs are great for separating space and for outdoor living spaces. The open flame provides warmth and great views of the fire. 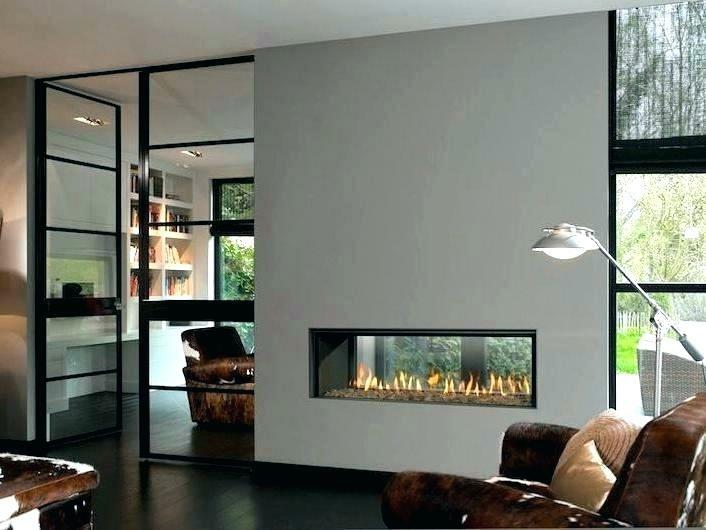 As you can see, a fireplace will add both warmth and a beautiful design feature in just about any living space. If you are looking to update your living or family room design, consider a 2-sided fireplace. Need replacement glass for an existing fireplace? Give Frank's Glass a call at 513.829.8284.